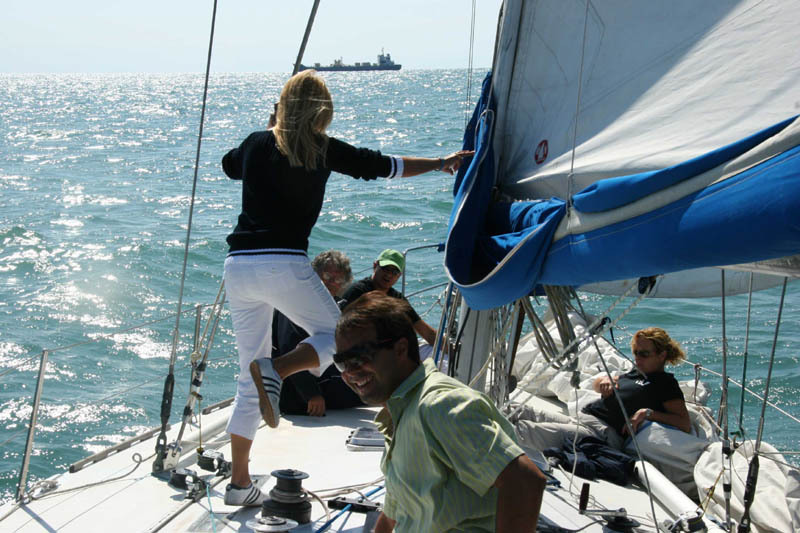 Our sails take place in the Lagoon or in the sea. through the classic routes of the northern Lagoon and in the Sea, between Lido and Malamocco: we’ll start from the San Nicolò chanel and after a sample of salt water off the Lido island, we’ll return on the Lagoon between the Alberoni, Poveglia, San Clemente and other islands, on one of which we’ll stop: San Lazzaro degli Armeni or San Servolo. However, do not worry about the dives and lunch. 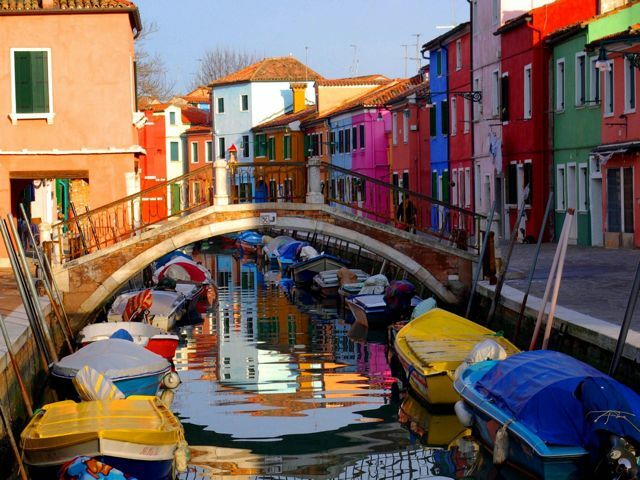 BURANO. The city-island which counts about 7,000 inhabitants is the most crowded among the the islands of the north lagoon. Always a fishing village, renowned in the whole world for the art of lace, today tourism is its primary income source. 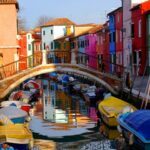 The harmony of its colours, the warm feeling coming from its “calli” (streets) in every season and the hospitality of its people, give Burano an unforgettable charm. 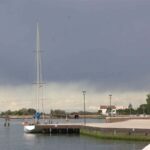 MAZZORBO is linked to Burano with a wooden bridge. Almost ignored by the horde of day trippers, who believe this rectangular land strip is an offshoot of Burano, was once called Maiurbium (= greater town). Today it has about three hundred inhabitants, some of which living in the newly built housing estates in the south-east of the island. The island is a peaceful osasis, inhabited by a dozen Franciscans. A friar will guide you to the discovery of its monuments and its history. Free offer guided tours every day. 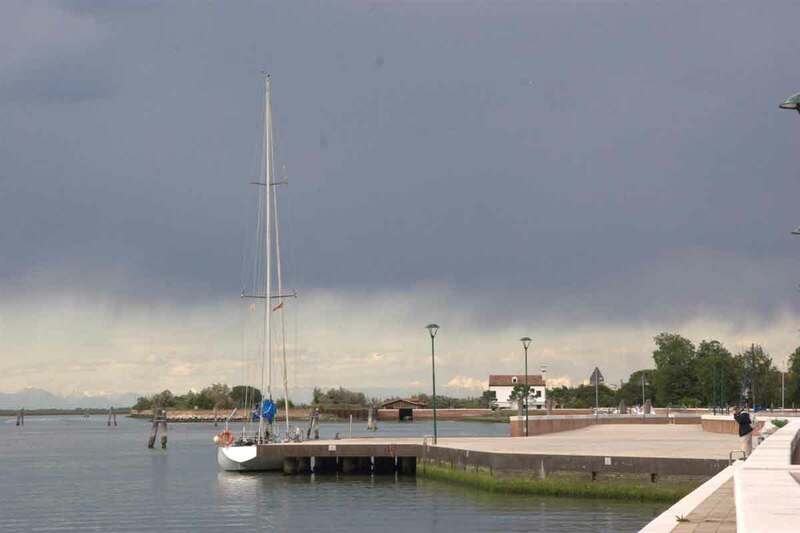 Sant’Erasmo is the second largest island of the Venetian Lagoon. Known as the kitchen garden and the beach of Venice, this island once faced the sea, before the construction of the North dike of the Lido port, which created the Treporti land. GIRO DEL LIDO. Lagoon, sea, lagoon inlets… A fine sail facing one of the best Italian beaches, against the backdrop of the most luxurious hotels and villas in art nouveau style. 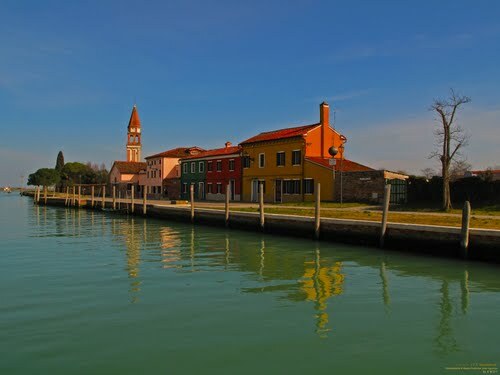 For the lunch we will go Alberoni, a small village at the western end of the island or on the island of Poveglia. Final stop, depending on the time, San Lazzaro (visit 15:30) or San Servolo. Boarding: about 1000. Landing: within 1800. 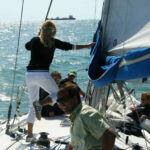 Included: Lunch on board, Skipper, fuel and use of services in the home port. Excluded: Alcohol and spirits, and everything that’s not specifically included.